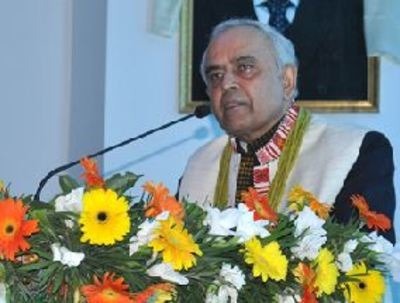 Mizoram Governor Lt Gen Nirbhay Sharma on Monday applauded the Emerging North East 2018 initiative while delivering a lecture on the second day of the exhibition in Guwahati. Governor Sharma further added that many from outside the region are still clueless about many things of Northeast. “We should realise the strength of Northeast and it has that much of strength to lead the nation towards development. The entire Northeast is an agrarian economy but we are not self sufficient. We should take this as a challenge. Processed Food has a good scope globally. If we need to grow and develop in this sector, we need do our share as well and not depend on entirely on the government,” said Sharma. Meanwhile, KB Subramanian Director of Ministry of Food Processing Industries, Government of India deliberated on PM Kisan SAMPADA Yojna where he shared about the objectives and schemes of PMKSY. Allocation under Pradhan Mantri Kisan Sampada Yojna (PMKSY) increased from Rs. 715 crore in 2017-18 (RE) to Rs. 1400 crore for 2018-19 (BE); Establishment of specialized agro-processing financial institutions in food processing sector; Operation Greens for tomato, onions & potato to be launched with an allocation of Rs. 500 crore to promote FPOs, agro logistics, processing facilities and professional management; 100 per cent income tax exemption from profit of FPOs, having annual turnover up to Rs. 100 crores for post-harvest and value addition activities.